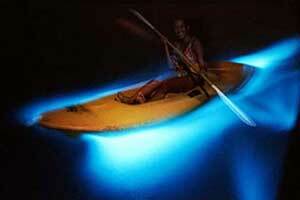 If you’re searching for a place to indulge all the senses on your next vacation, look no further! 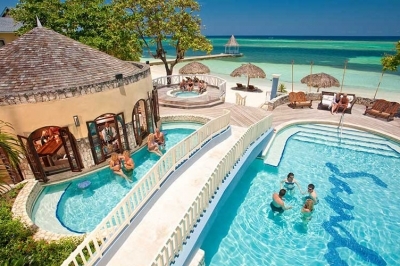 From treehouses to over-water bungalows, Jamaica’s dozens of all-inclusive resorts and hotel packages offer luxurious accommodations to all kinds of travelers, from honeymooners to families and large groups. With stunning beaches, towering mountains and lush rainforests to explore, this is the perfect destination for travelers to relax and have all of their needs taken care of. It might seem daunting to find the best of what’s around, but luckily we’ve done all the searching for you! The ten luxurious properties we’ve highlighted below will wow you with their beautiful facilities and unique features – each offers an all-inclusive rate (which covers accommodations including private bathroom, meals, snacks, drinks and entertainment options) and the attention to detail that makes a trip into the kind of vacation you won’t want to leave. *The figures included below are based on TripAdvisor’s average rates for standard rooms as of August 2018. Twelve cliffside cottages offer waterfront views, outdoor showers, air conditioning and Wi-Fi; some include kitchenettes. Those looking for the ultimate luxury experience will want to book the 3,500-square-foot Clandestino Villa. With 3 bedrooms, 4 bathrooms, a full kitchen and butler service, this is a great spot for older families or groups. Keep in mind: children under 16 are not allowed on the property. Though this hotel lacks a proper sandy beach, it more than makes up for it with The Sands, their private cliff-top cocktail lounge, and unique dining experiences. Clandestino guests have access to a private swimming pool and can reach the rest of The Caves’ cliffs, restaurants, pools, spa facilities and lounge areas via a secret tunnel. Price: $444 – $907. 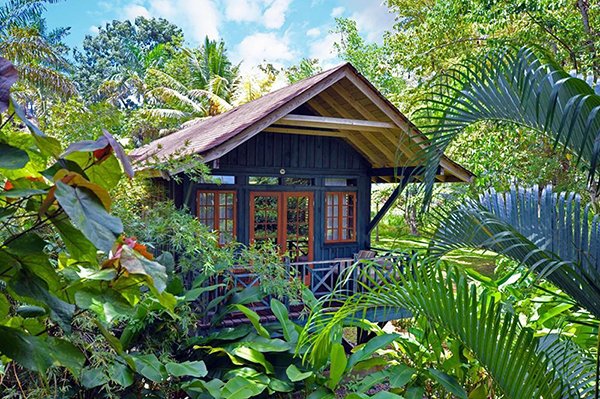 Nestled among lush tropical plants and palms, this adults-only resort offers 85 Asian-inspired treehouse guestrooms. 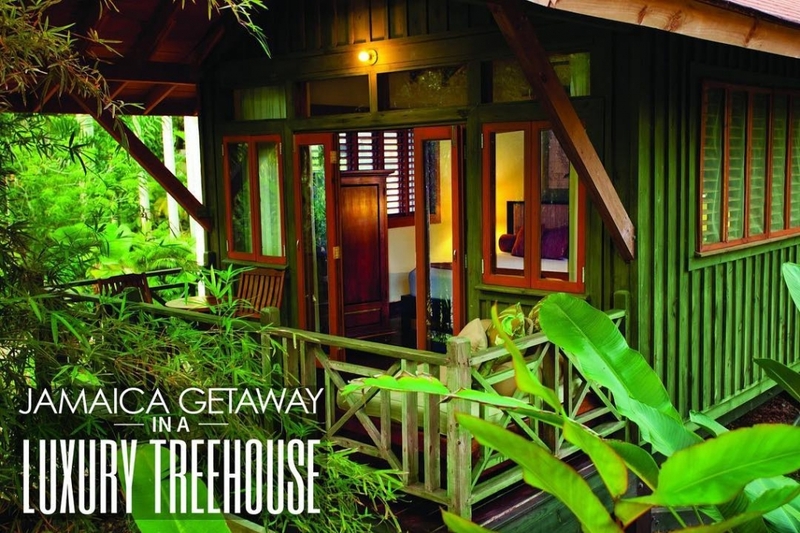 That’s right – you can stay in a secluded treehouse in an island paradise. Boasting a swim-up bar, private beach and nightly entertainment, this is a good choice for couples looking for a romantic getaway. Wi-Fi, cable TV, His and Hers bathrobes, stocked mini-bar and air conditioning will make you feel at home high above it all. Formal and casual dining options include something for every taste. The Ginger Lily Spa offers massages, facial treatments and a full-service beauty salon, so you’ll leave looking like a million bucks. 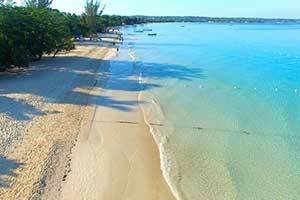 Seven Mile Beach and Bloody Bay Beach are both nearby, but we won’t tell if you decide not to leave the resort! Price: $257 – $476. From Britain to Bali – and everywhere in between – we can all agree: there’s nothing more luxe than a private island! 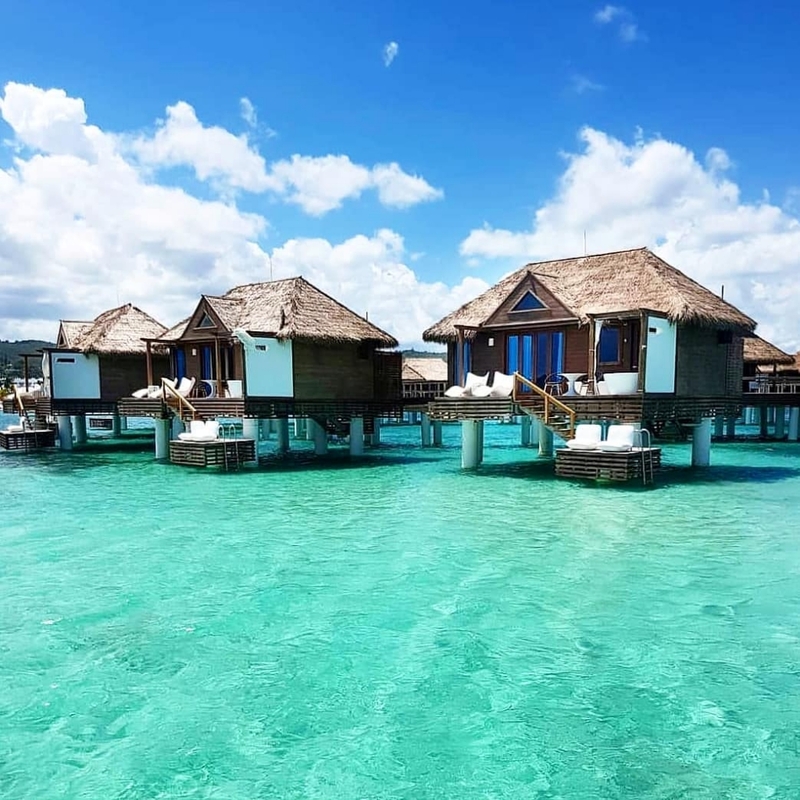 Inspired by English hospitality and the mystery of the Orient, Sandals Caribbean Resort has mastered the art of extravagance, both on the mainland and beyond. 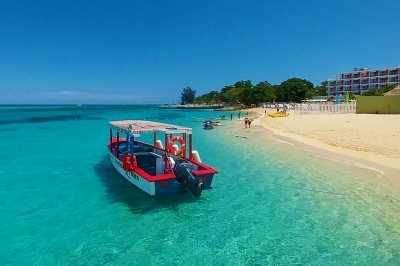 Hop aboard Sandals’ boat (or take a kayak or sailboat on your own) to access the resort’s private island which boasts a sandy beach, private pool and regular entertainment. 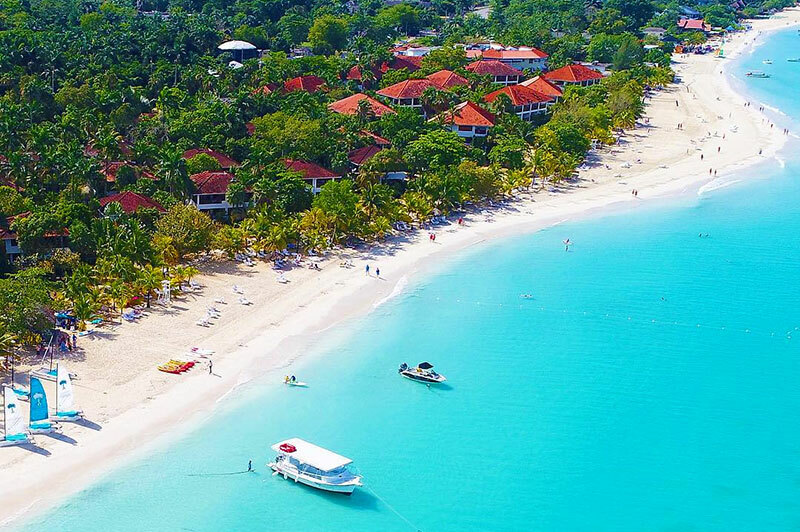 Guests can stay in over-the-water bungalows, enjoy duty-free boutique shopping and take advantage of Sandals’ renowned “Stay at One, Play at All” exchange program which provides access to the facilities of the other nearby Sandals properties. With eight on-site restaurants to choose from, you might not want to leave: dining options include high tea service, French cuisine, Thai food and more. 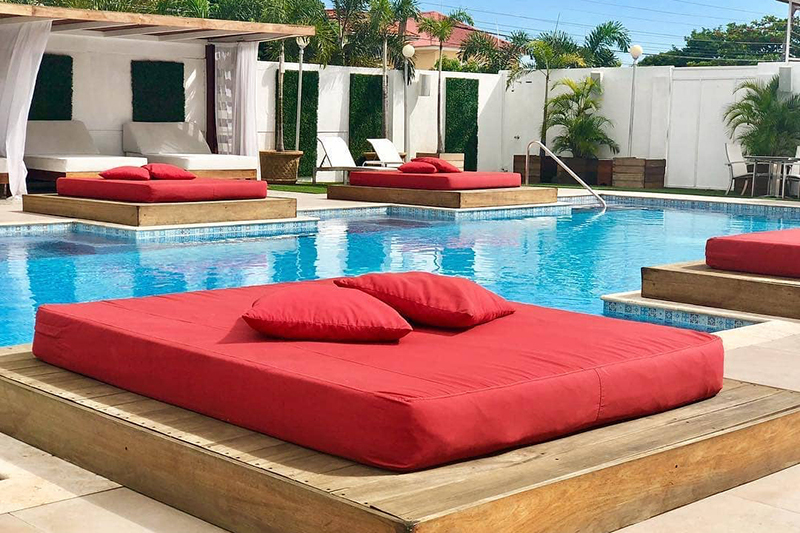 Wi-Fi, cable TV, air conditioning, transportation and laundry service are included. Price: $426 – $1,025. 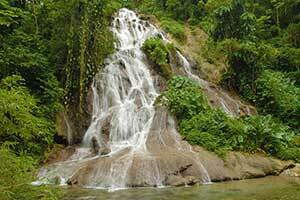 Home of the Sugar Mill Falls Water Park – the largest in Jamaica – this all-inclusive is a great option for families traveling with children. Kids under five stay and eat for free, and get to enjoy a playground, game room and supervised activities. 400 acres of sprawling gardens include a private beach, golf course, spa and fitness center – even ancient aqueduct ruins! Common areas and guest rooms with mountain and ocean views are wheelchair-accessible, and include cable TV, coffee/tea and climate control; Wi-Fi is available at an additional charge. Price: $241 – $623. 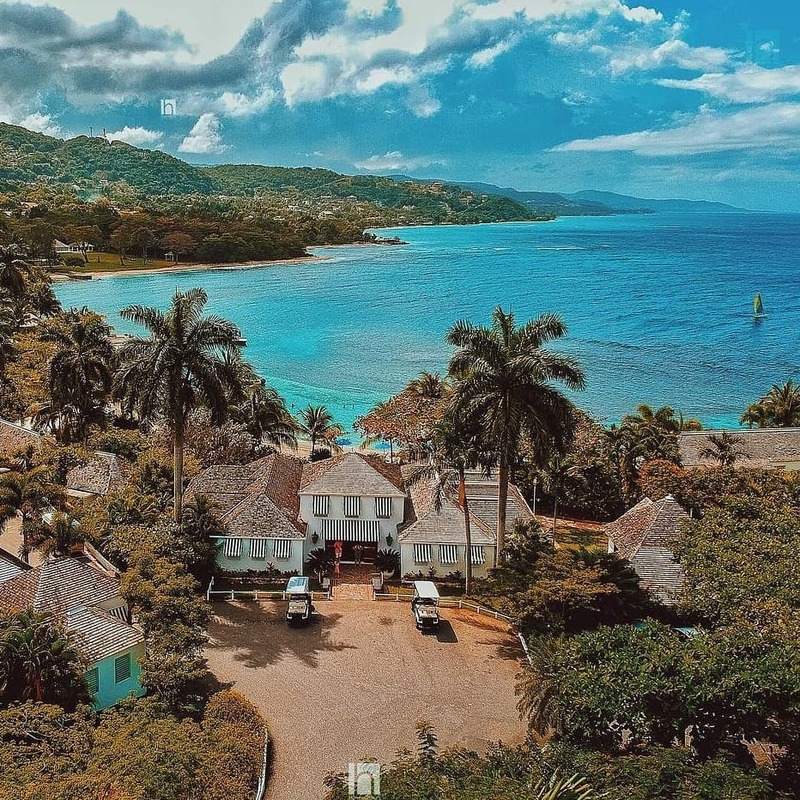 Award-winning restaurants, a renowned Kids’ Club and oceanfront guest rooms designed by Ralph Lauren make this a stand-out for travelers who want elegant surroundings in the heart of Montego Bay without the rowdy crowds. The all-inclusive Platinum Plan covers the usual, plus a gift basket upon arrival. 36 rooms and 27 villas share sweeping coastal views, lush gardens, open-air living areas, Wi-Fi and a library of books and magazines. Other amenities include an infinity pool, private beach on Round Hill Bay, jogging path, two sets of tennis courts and a rainforest spa. We loved the Pillow Menu: you can choose from Bed Rest, Snore Stopper, Maternity, Down or Feather pillows to get the best sleep you’ve ever had on vacation. It’s these little things, and the staff’s unerring attention to detail, that make this a top pick. Price: $316 – $1,101. Enjoy your own personal butler, housekeeper, security staff and caregivers for children and seniors (up to nine hours per day); you won’t find service like this at the other all-inclusives. 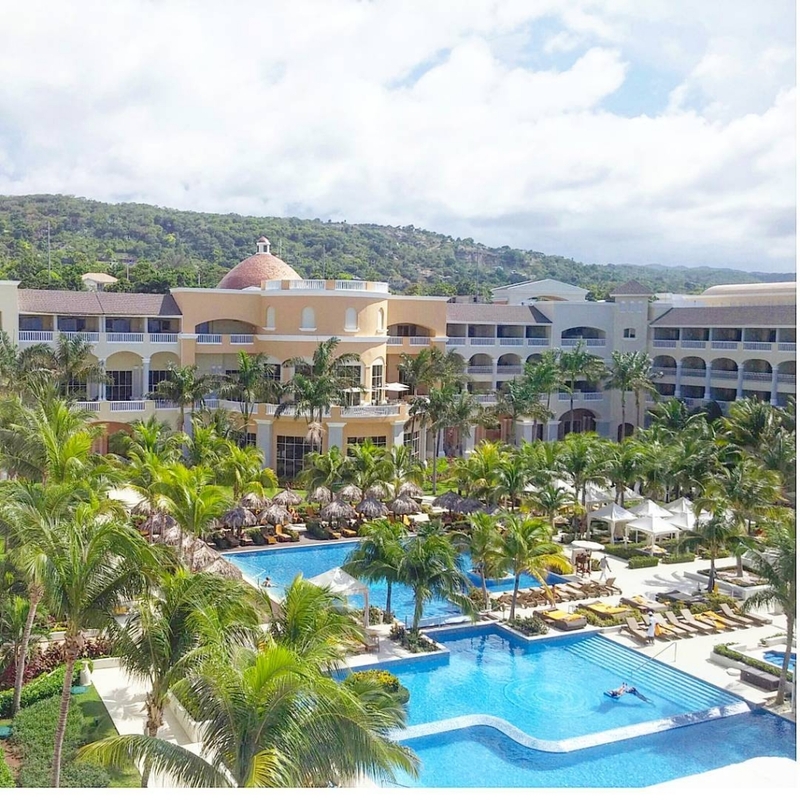 With six villas ranging from two to six bedrooms, this small resort is a great choice for family reunions, destination weddings or spiritual retreats looking to get away from the typical hustle-and-bustle of the resort communities. You’ll coordinate meals with your personal chef; guests keeping kosher, vegan, gluten-free or other restricted diets can dine in comfort knowing that everything will be prepared to their specifications. 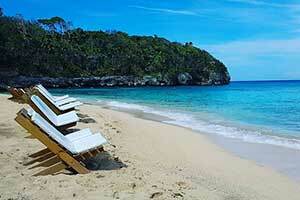 Transportation, laundry service, and sports rental equipment are included. 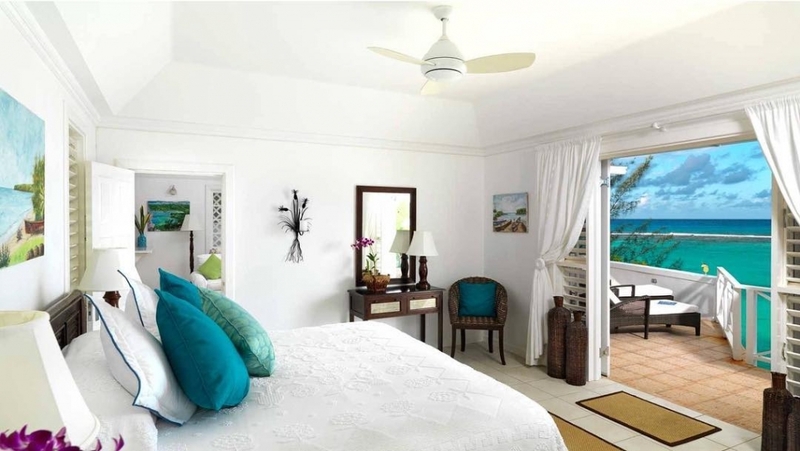 Each villa features a private pool, Wi-Fi and telephone service. Exclusive activity itineraries allow for unique experiences, like touring local schools, chasing waterfalls and horseback riding. 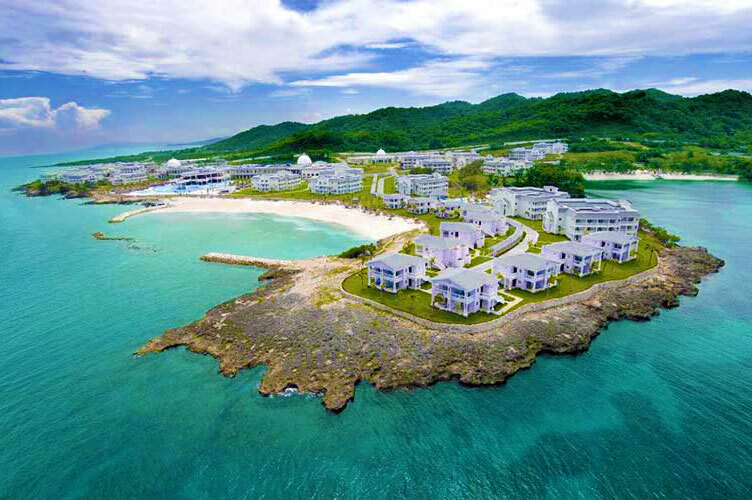 Price: starting at $460 per person per day. Though its 200-plus suites make this one of the larger resorts on our list, it’s adults-only, so you won’t be woken by screaming kids. 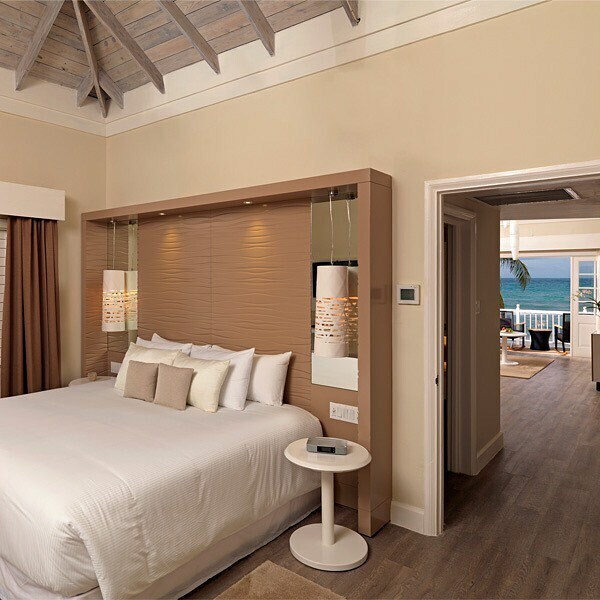 About 100 rooms feature direct beach access; the others have garden or ocean views. All include Wi-Fi, cable TV and turndown service. A three-night stay grants you complimentary access to the spa’s wet areas as well as a round of golf. Five restaurants, two buffets, six bars, mini-bar service and 24-hour room service await guests who will also love the theatre, game room and opulent infinity pool. Price: $353 – $710. 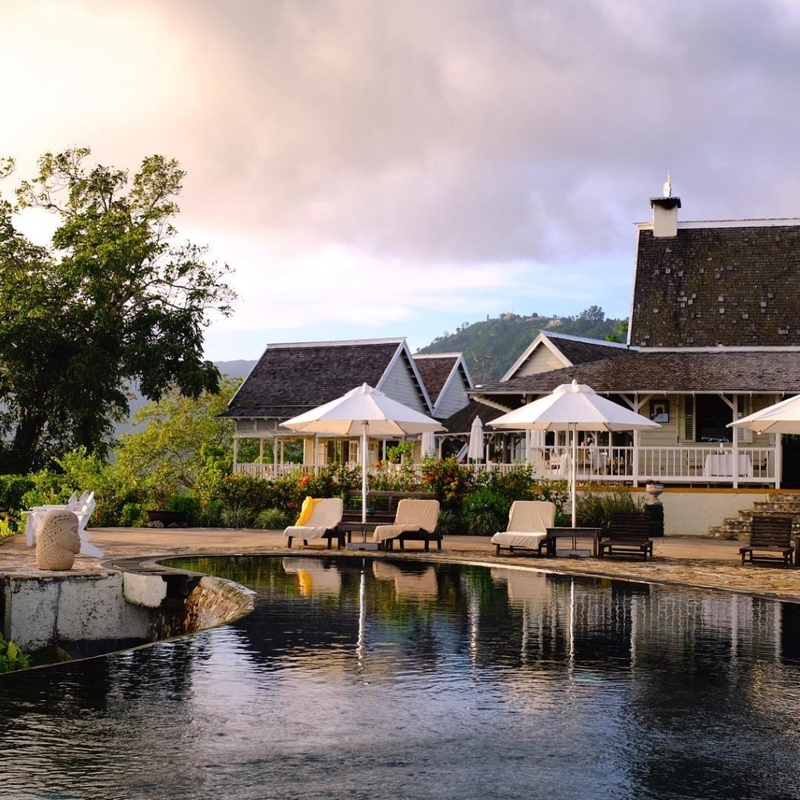 This timeless boutique resort once hosted Marilyn Monroe and Arthur Miller’s honeymoon; they’ve been operating continuously as one of the top accommodations in the Caribbean for more than fifty years! Even before you arrive you’ll be well cared for with airport transportation and a complimentary welcome drink. Once you’ve checked in, you’ll want to check out the large, uncrowded private beach which offers hammock-side drink and snack service. Water sports, tennis, and a fitness center provide exercise opportunities. Wi-Fi is available in rooms and common areas, great for travelers who want to stay connected! The full-service spa features products crafted with all-natural local ingredients. Price: $292 – $939. 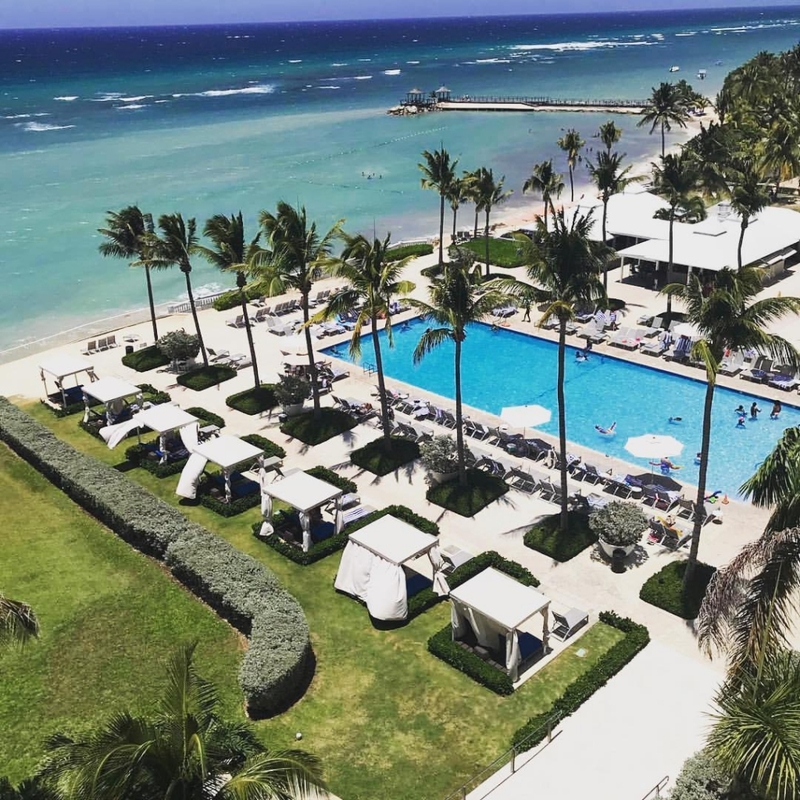 Set on a private beach within walking distance of downtown’s nightlife and shopping, this enormous 705-suite all-inclusive was renovated in 2015. Sleek, modern accommodations offer ocean views, Wi-Fi, cable TV and phone service. The legendary Presidential Suite has a double whirlpool tub, aromatherapy products and personalized room service menu. All guests are welcomed with a complimentary bottle of wine. 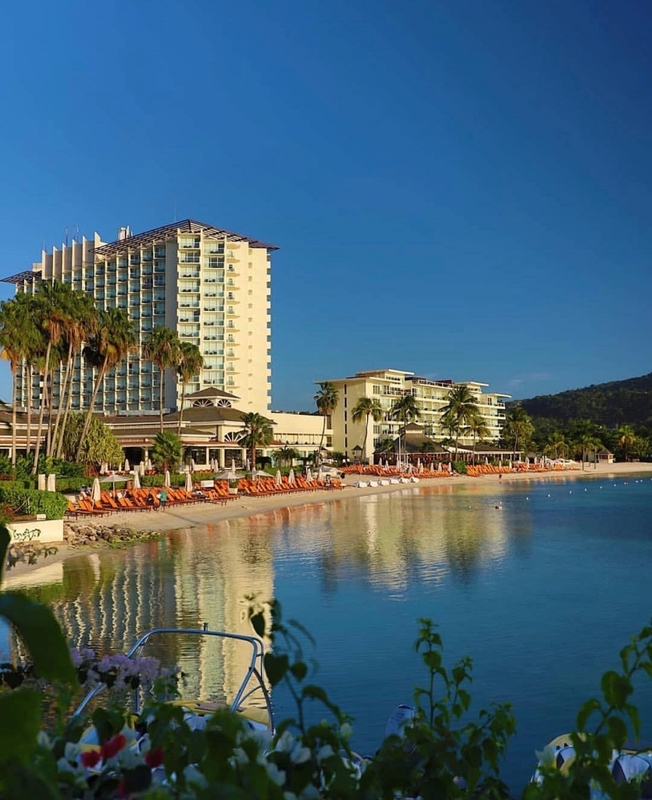 Swim with dolphins, tour Konoko Falls or take a sunset Booze Cruise – the recreation options at Moon Palace are unrivaled. 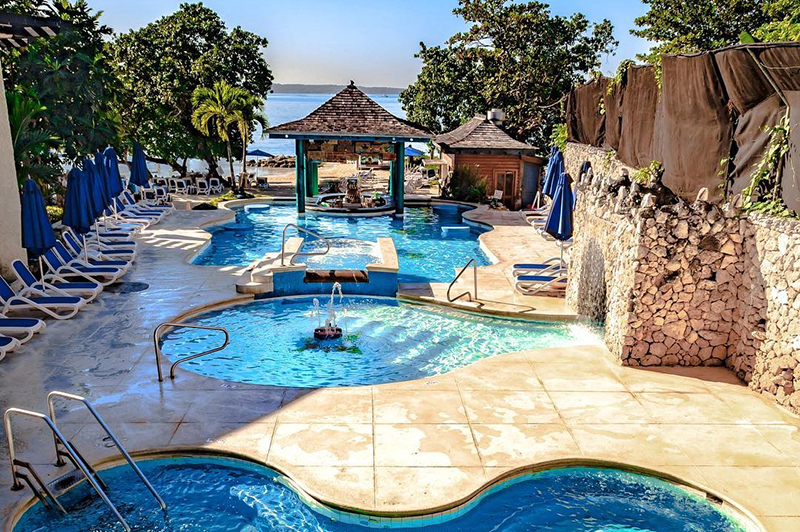 Their AWE Spa is one of the largest on the island and offers a variety of hydrotherapy and massage treatments – for adults only. Price: $438 – $1,147. 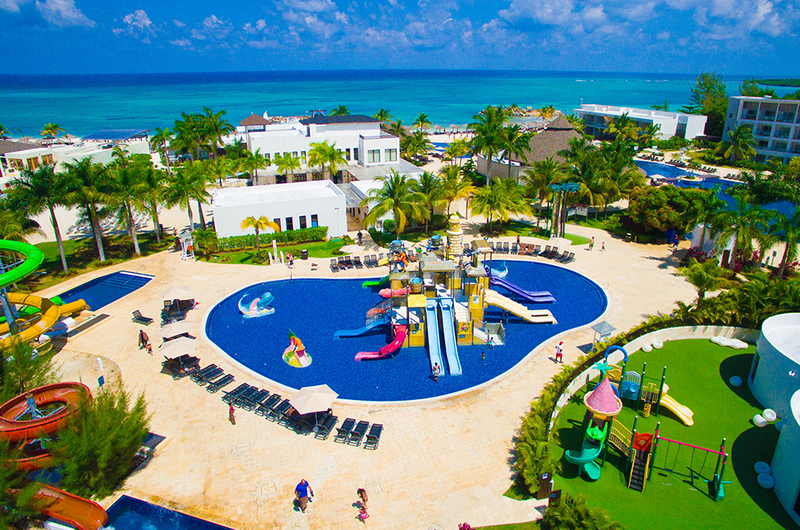 A true VIP experience for kids and adults alike, this resort features an adventure park with ziplines, outdoor pools and jacuzzis, and supervised activities for all ages. Adults can relax in the spa or hit the gym, and all guests enjoy five restaurants and a buffet. All rooms offer beautiful views, cable TV, climate control and minibars; some have patios or balconies. I’m a fan of the wood floors (easy to sweep sand out!) and eclectic furnishings. Price: $306 – $559. 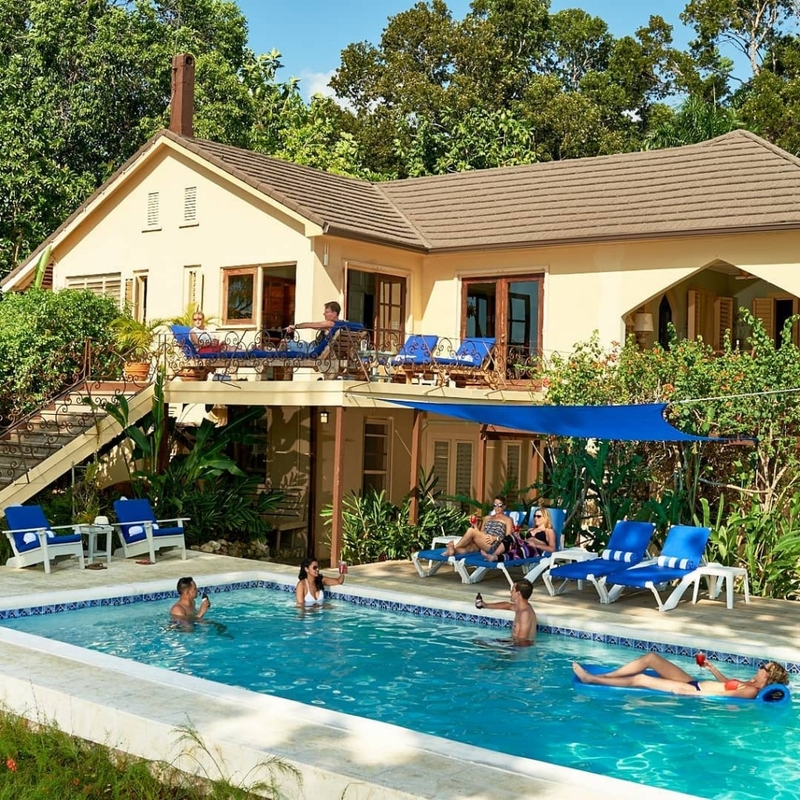 Located high above Kingston in the alluring Blue Mountains, this hotel offers the “Jamaica On a Platter” package during the last weekend of every month. 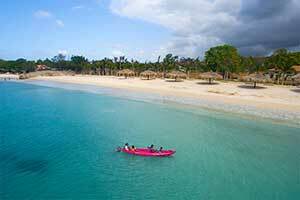 The 3-night/4-day stay with organized tours showcases the best of the island’s food, hospitality and natural beauty. Guests visit private homes, gardens, and kitchens; markets, farms, restaurants, cook-shops and bars. This isn’t technically an all-inclusive: coffee tastings, daily breakfasts, one café lunch, one welcome dinner and rum cocktail are provided, but the remaining dinners, drinks and transportation are not covered by the $1,450-per-person weekend rate. 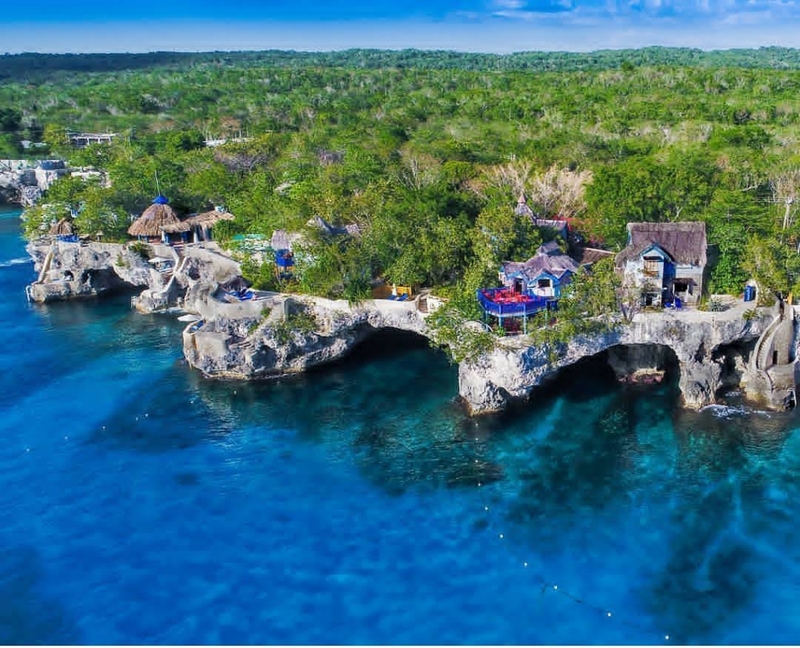 However, I think the chance to enjoy the mountaintop views from your own private cottage and visit the lesser-trafficked parts of the island – all while learning about the culture and history – make this lively excursion-filled weekend well worth it for those in search of a more authentic Jamaican experience! Yoga classes, hiking trails and spa products made with local ingredients make Strawberry Hill a great place to relax after a busy day.